"Help the Angry Birds defeat Darth Vader in Angry Birds Star Wars." Do you love Angry Birds? Do you love Star Wars? If you answered yes to both of those questions, then you will love Angry Birds Star Wars! It’s like a dream come true. Join the Angry Birds in another adventure as they take on the all-powerful Darth Vader in this officially licensed Star Wars themed Angry Birds game. The Angry Birds will use the force, wield Lightsabers, and blast through Pigtroopers during their intergalactic journey to face Vader. 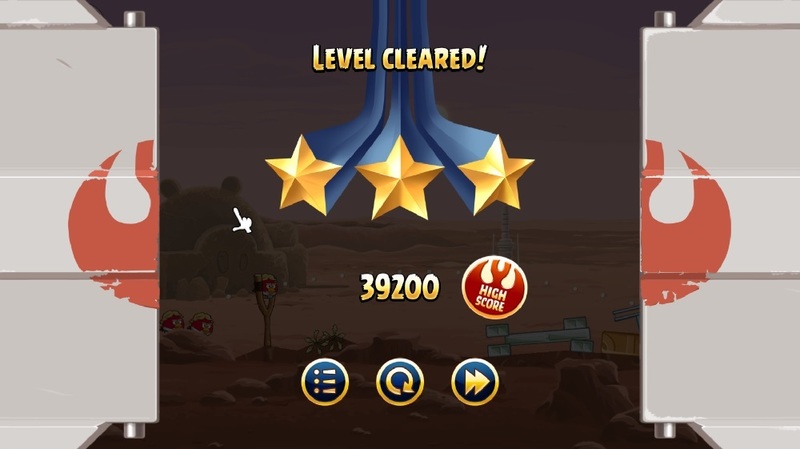 You must become an Angry Bird Jedi Master in order to restore freedom to the galaxy. Classic Star Wars fans will greatly enjoy this game as it includes the whole gang of stars from Star Wars with their own set of powers and special abilities. Playing Angry Birds on PC gives you more control over the game. Angry Birds is a physics based game that requires strategy and precision in order to beat. 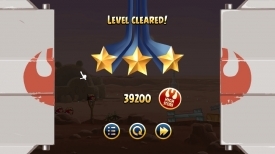 With each game becoming more and more difficult to beat, full control has become all the more important in Angry Birds games. Angry Birds isn’t just about beating the game. It’s about getting the highest possible score. Players spend hours and hours on mobile platforms trying to get the highest scores. On Windows, you have full control of your success and your score. Download Angry Birds Star Wars today for your Windows and experience full control as you aid the birds in defeating Darth Vader by laying waste to all of the imperial Pigtroopers in this great game for you and all of your friends.